With its castle-like façade perched on the East Cliff and idyllic leafy gardens sloping down to the seafront, it’s impossible to miss the Russell-Cotes Art Gallery and Museum. The Grade II-listed heritage building was built in 1901 for Sir Merton and Lady Russell-Cotes to house their growing private collection of art and artifacts. The remarkably preserved Art Nouveau mansion, along with its contents, was gifted to the city of Bournemouth in 1908 and formally opened as the Russell-Cotes Art Gallery and Museum in 1922. Today, the striking Art Nouveau building is as celebrated for its unique architecture and attractive gardens, as it is for its lavish interiors and sizable art collection. The gallery’s permanent exhibitions include a significant collection of European and Japanese works, dating mostly from the 19th- and early 20th-century, while the museum hosts a magnificent array of souvenirs collected by the Russell-Cotes on their world travels. As well as visiting the galleries and museum, visitors can explore the beautiful grounds and gardens, or take in the views from the on-site café. 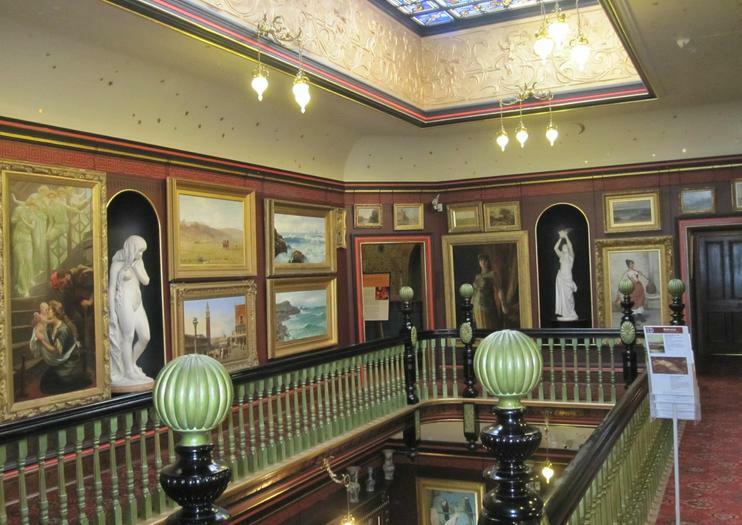 The Russell-Cotes Art Gallery and Museum is located on the East Cliff Promenade on Bournemouth’s waterfront and is open Tuesday to Sunday, from 10am to 5pm. Adult admission is £6. Explore Bournemouth, a quintessential coastal resort town on England’s southern coast, with this City Sightseeing hop-on hop-off bus tour. Travel quickly and easily around the charming English town aboard an open-top, double-decker bus with your 24- or 48-hour ticket. Choose to stay on the bus for the full 90-minute loop, or hop on and off at any of the 25 well-placed stops to visit the places that interest you the most.